"I Can Read" books are widely recognised as the premier line of beginner readers. Inaugurated in 1957 with Else Holmelund Minarik's "Little Bear," illustrated by Maurice Sendak, the series has grown to over 200 titles, which include mysteries, adventure stories, poetry, historical fiction and humour. Featuring award-winning authors and illustrators, and a fabulous cast of classic characters, "I Can Read" books introduce children to the joy of reading independently. 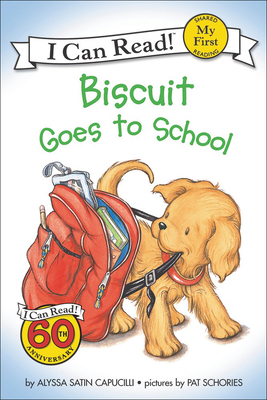 Just like his young fans, Biscuit can't wait to go to school Even though no dogs are allowed, he is determined to see and do everything that takes place at school. But what will happen when the teacher discovers a puppy in his classroom?